It's one of the most advanced models we've seen (and it's also one of the more expensive ones). Thinkware’s dual-channel F770 is unique among all the dash cams we've reviewed for relying on a Wi-Fi connection and an Android or iOS app that’s used for viewing video and advanced settings. There are also Wi-Fi and GPS/power status lights, but feedback (warnings, notifications, etc.) is largely via a friendly voice. For local control when your phone isn’t handy or practical, there are power, record, Wi-Fi, and mic buttons on the unit. Using F770 takes some getting used to, but the combination of methodologies as a whole works extraordinarily well. 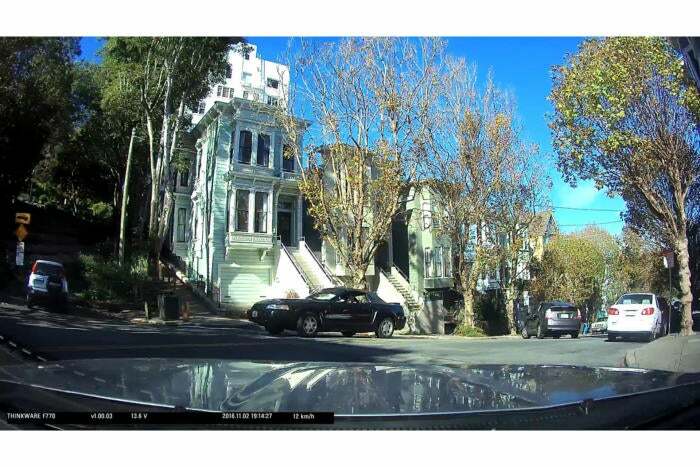 Both color and clarity are top notch in the F770’s daytime video. If there’s any drawback to the F770, it’s that at a little over 4 inches long and about 2.5 inches wide, it’s going to cover a large patch of your windshield. Be patient when choosing where it will reside (behind the mirror is a good place) before mounting it using the semi-permanent adhesive. The F770 can record two channels of video simultaneously, but that requires the optional $80 720p rear-view camera. The video produced by the F770 was nothing short of excellent. That includes nighttime shots, which suffered minimal headlight flare and offered lots of detail. The daylight video was particularly rich in color, much like the Viofo A119’s. Though the colors are a little subdued, there’s no arguing with the wonderful clarity of the F770’s night video. 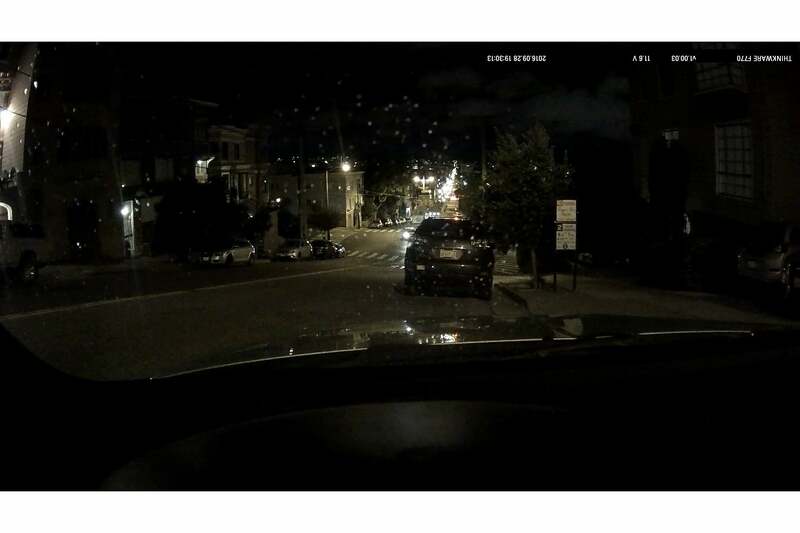 The F770 also sports every dash cam feature there is: 1-fps parking surveillance to limit memory usage, lane departure and collision alarms, and safety camera and speed warnings. It even ships with a 16GB micro-SDHC card. At $300 (at the time of our review), that’s kind of the way it should be. If you’re phone-centric, or just like the idea of using your phone to control your dash cam, the F770 is the real deal. If you’re looking for something more traditional, Thinkware’s equally excellent, non-Wi-Fi X550 with a 2.7-inch display is equally good. 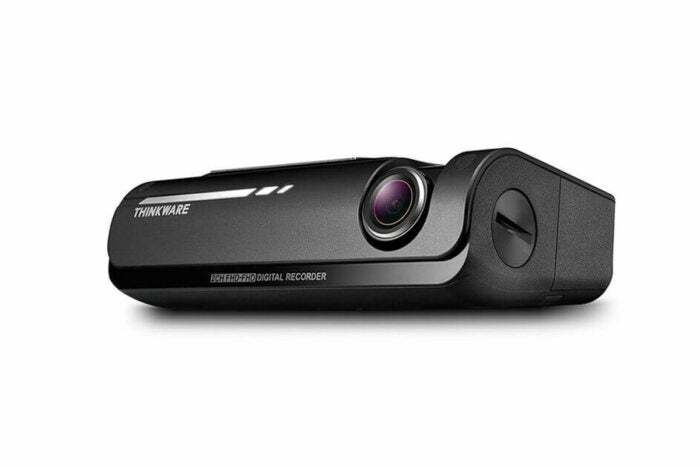 Thinkware's F770 is pricey, but the voice feedback, features, and day/night video are as good as it gets get, and it's dual-channel so you can record to the rear with the $80 add-on camera. It uses your Android/iOS device as a viewer and display, however, so if you're not phone-centric, look elsewhere. Using your cell phone as a display adds another layer of complexity.